With allot of choices in audio gear Denon stands out from the others with quality. I chose this dependability for my service giving you the best I can for any client. 2 ,That's right 2 of these in my system ! Denon DJ, a leading manufacturer of premium-grade DJ equipment, introduces the DN-MC6000 Mixer and MIDI Controller, a four-channel/eight-source standalone digital DJ mixer with MIDI interface and internal sound card. 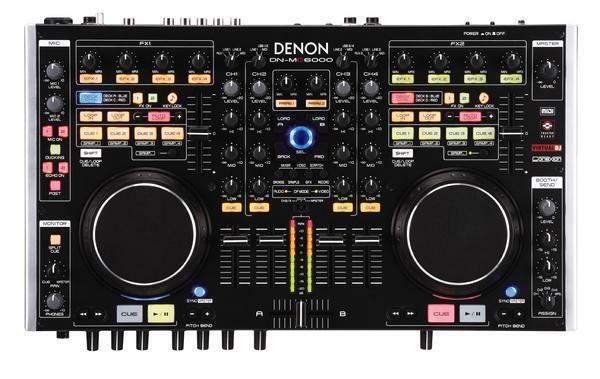 With an astounding amount of features, real-time channel matrix operation, slim tabletop design, state-of-the-art solid steel chassis construction and quality sound, the DN-MC6000 is one of Denon DJ�s flagship controllers. Also acting as an audio interface (with a 2 in/2out stereo soundcard included), the DN-MC6000, when paired with the user�s software of choice, is a turnkey control solution for mobile DJs and party DJs, and a clear centerpiece to any DJ rig. HD 2500 I use 1 of these to get music right from the hard drive. 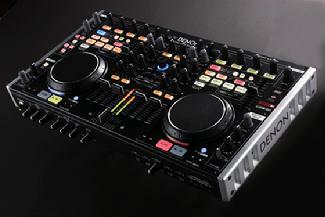 Mixer 1 .The Denon x 500 Mixer. The heart of my DJ set up. All my music passes through this great device. With the large amount of gear I own my setup can be split up for use in more than one place at one time. With the best in equipment its great to have back up,,,, there ready to go at a moments notice.